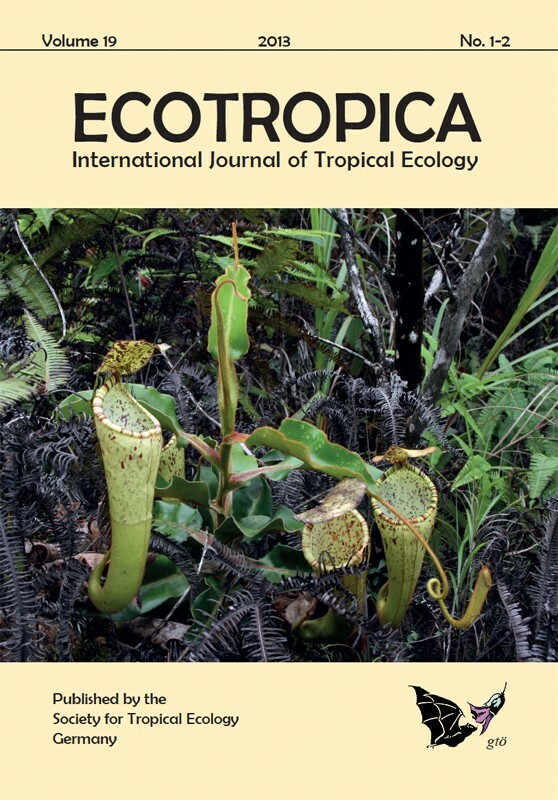 Ecotropica is looking for manuscripts on all topics related to tropical ecology. Papers reflect results of original research (articles, short communications) or review important fields in tropical ecology. We support innovative ecological research of tropical ecosystems that is a part of MSc or PhD dissertation projects. Grants of EUR 1,000 are awarded with the aim to expand and improve particularly promising dissertation research. There is one deadline a year. In 2019, the applications must be received by 23.55 GMT on 30 June 2019. The applications will be evaluated by a scientific panel nominated by the board of the Society for Tropical Ecology. The quality, innovation and feasibility of the planned research are the main criteria. The applicants will be notified on the outcome by 31 August and funds will be made available by 15 September. The grants should run for a maximum of 12 months, the Final Report will be due by 30 October 2020. The Society for Tropical Ecology grant must be acknowledged in any resulting publication. We expect successful applicants to provide a short (maximum 0.5 -1 printed page) description of the project including a supporting picture or graphical abstract to be feautured on our web page and/or news letter upon receiving the grant money. MSc and PhD students from any country and institution may apply, as long as they are members of the Society for Tropical Ecology. One application per deadline is permitted, resubmissions of previously unsuccessful applications are possible if invited by the evaluation panel. The grants are awarded to individuals, not organizations. No form is required. The application comprises from a CV (1 page maximum, includes contact details and information demonstrating the applicant’s eligibility), a support letter by the supervisor (1 page maximum) and a project description in the standard grant proposal format (Theoretical Background, Aims, Methods, Personnel, Calendar, Broader Impacts, References, and Budget; 3 pages maximum, A4, font 11 pt, single spacing, 2 cm margins, graphs and images allowed in the text). We expect that in most cases the grant will fund only a part of the study. That part (and its budget) should be clearly defined in the proposal. The funding can be used only for research expenses (field and lab activities, including travel for field work), but not for PI’s salaries, attending conferences and training courses, overheads, or publication costs. The application should be submitted as a single pdf file by email to gto.student.grants@gmail.com with the subject line including the name of the applicant. 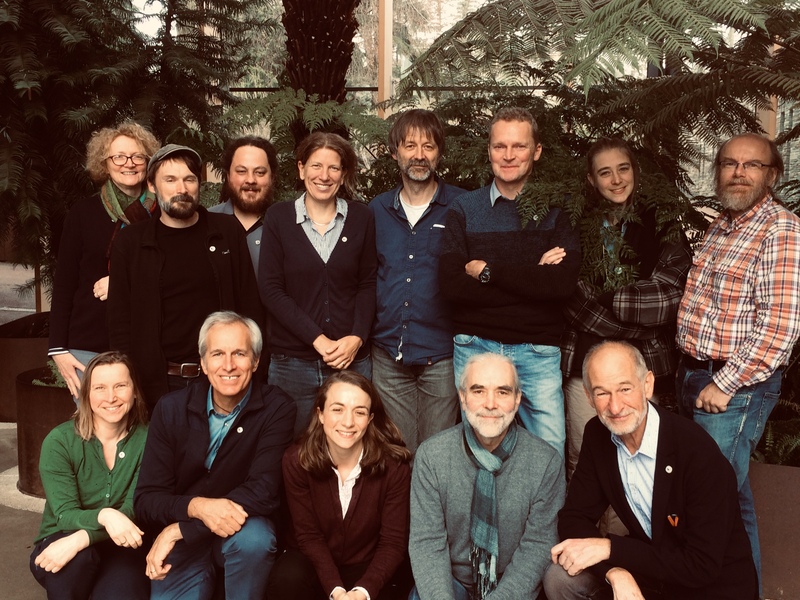 The Society for Tropical Ecology (formerly Gesellschaft für Tropenökologie e.V., gtö) promotes and communicates new and emerging knowledge among tropical ecologists to advance the understanding of tropical ecosystems and their protection. It is currently Europe’s largest scientific association in this field of research with about 500 members. About 70 % of the world’s human population lives in the tropics, an area covering only 10% of the Earth’s land surf ace. With an expanding population and economic growth, pressure on natural resources is increasing at an exponential rate. More than three-quarters of the once pristine habitats in the tropics have been destroyed in the last 50 years through overexploitation and land-use change. If the current trend continues over the next decades, we face the disappearance of millions of species, with unforeseeable ecological and socio-economic consequences, for this and all subsequent generations. The greatest challenge for tropical ecologists is to devise scientifically based strategies for the conservation of tropical ecosystems, which ensure the economically and ecologically sustainable use of natural resources. The Society for Tropical Ecology (Gesellschaft für Tropenökologie, gtö), founded in 1987, is Europe’s largest scientific association in the field of tropical ecology. The gtö codex can be found here . Ten years after its formation the gtö has 700 members and has become a respected and important society. 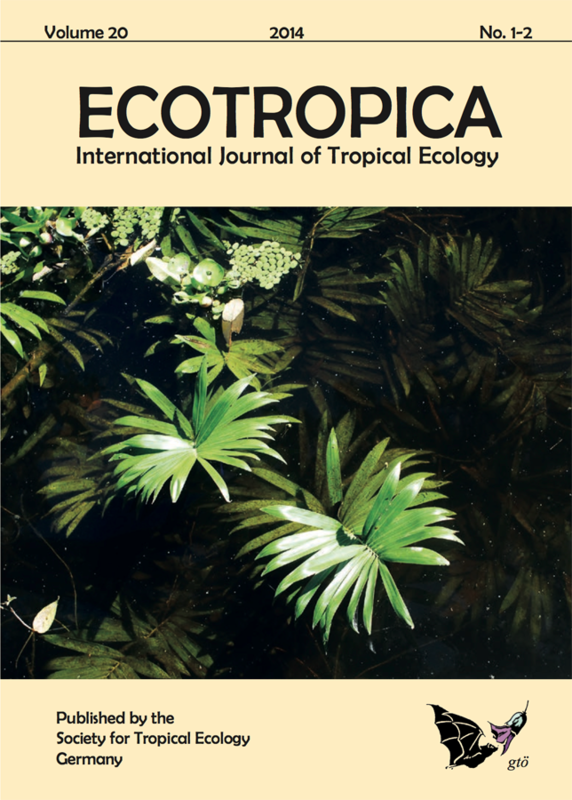 Since 1995 it has published its own journal ECOTROPICA , an international, refereed journal containing original papers and review articles in English. Our annual conference provides an inter-national platform for the exchange of current scientific ideas and helps promote the establishment of collaborations between members and attending guests. The gtö is open to all interested persons. The cost of the newsletter and ECOTROPICA is contained in the membership subscription. A reduced membership fee is available to students and unemployed persons on production of the appropriate documentation. 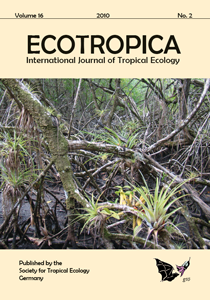 The journal ECOTROPICA is the scientific publishing forum of the gtö. It has appeared biannually since 1995. The gtö-conferences are planned as Carbon Neutral Conferences. Carbon neutrality will be achieved by sequestrating the amount of CO2 which is released in the air mainly by energy consumption and mobility of the participants of the gtö-conference. With PRIMAKLIMA e.V. we have found a reliable partner to calculate the CO2-emissions caused by the conference. PRIMAKLIMA e.V. guarantees with a fulfillment factor of five to compensate the emissions from the conference by afforestation and forest conservation projects all over the world (www.prima- klima-weltweit.de/englisch_2010/ ). Participants of the conference can take their personal share and contribute to mitigate global climate change by paying a voluntary CO2-fee of 15.00€. We think this is a good investment. The Society for Tropical Ecology (Gesellschaft für Tropenökologie, gtö), founded in 1987, is Europe’s largest scientific association in the field of tropical ecology. Ten years after its formation the gtö has 700 members and has become a respected and important society. The Society for Tropical Ecology (Gesellschaft für Tropenökologie, gtö) is also actively providing information on social media. Either for general information flow to our members and colleagues from other disciplines or during workshops and conferences ... follow us!